Nevsehir, formerly Muskara, is a city and the capital district of Nevsehir Province in the Central Anatolia Region of Turkey. According to the 2010 census, population of the district is 117,890 of which 85,634 live in the city of Nevsehir. The district covers an area of 535 km2 (207 sq mi), and the town lies at an average elevation of 1,224 m (4,016 ft). A settlement was founded on the slopes of Mount Kahveci in the valley of Kizilirmak (the ancient Halys) by the Hittites. The town along with the region came under the rule of the Assyrian Empire around the 8th century BC, then by the Medes and then by the Persians in the reign of emperor Cyrus the Great in 546 BC. In 333 BC, Alexander the Great defeated the Persians. After his death, Cappadocia came under the rule of the dynasty of Ariarathes with Mazaka (present-day Kayseri) as capital. Cappadocian kingdom became part of the Roman empire, in the reign of Emperor Tiberius. 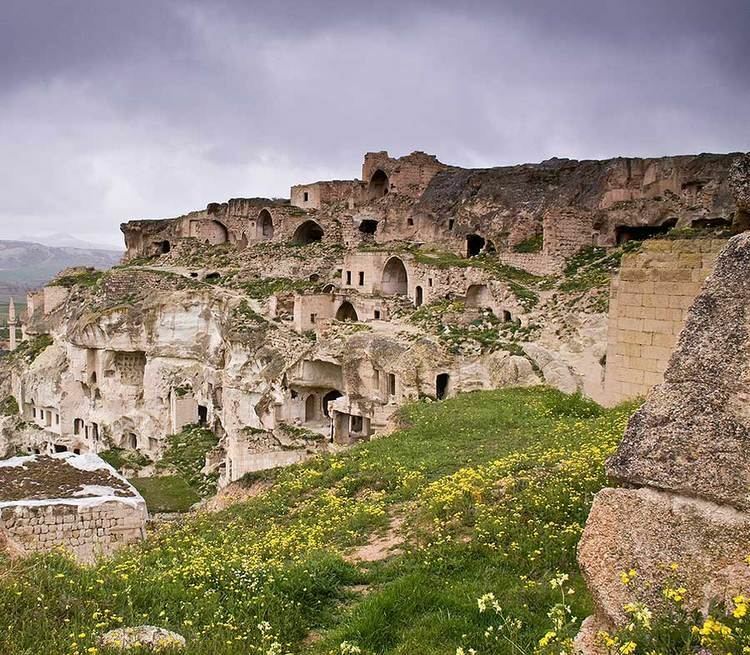 The underground shelters around Nevsehir and Goreme were originally built to escape persecution by the pagan Roman authorities. Many of the churches, hewn in the rocks, date from these early years of Christianity. 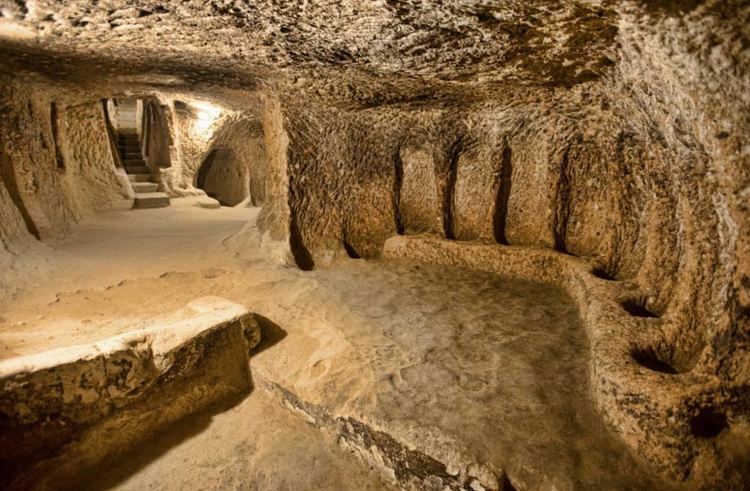 Even when Theodosius I made Christianity the official religion of the empire, the caves offered protection for the local people during raids by the Sassanid Persians circa 604 AD and by the Islamic Caliphate circa 647AD. And when Iconoclasm became state policy in the Byzantine empire, again the caves of Nevsehir became shelters for those escaping persecution. The castle on the hill dates from the Byzantine period, when the region was on the frontline in the wars against the Islamic Caliphate. At the Battle of Manzikert (present-day Malazgirt) in 1071AD, the Byzantine emperor Romanos IV was defeated by the Seljuk Sultan Alp Arslan. This led to the occupation of Anatolia by the Seljuks by 1074AD and Nevsehir along with the rest of the region became part of the Seljuk Sultanate of Rum and then under the rule of the Karamanid dynasty in 1328AD and finally under rule of the Ottoman empire around 1487AD and was renamed "Muskara". It remained a relatively insignificant settlement until the early 18th century. The present-day city owes its foundation to the grand vizier and son-in-law of the Sultan Ahmed III, Nevsehirli Damat Ibrahim Pasha who was born in Muskara and therefore took a great interest in its construction as a city. The small village with only 18 houses, formerly under the administration of the kaza of Urgup, was rapidly transformed with the building of mosques (the Kursunlu Mosque), fountains, schools, soup kitchens, inns and bath houses, and its name was changed from Muskara to "Nevsehir" (meaning New City in Persian and Ottoman Turkish).